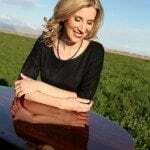 “It is well with my soul” is a hymn sung by Vanessa Joy on her album “Sweet By and By” It is a collection of hymns with a total of 14 songs on the album. You can listen to the song “It Is Well With My Soul” for free here, or purchase the album here. Or you can listen to a sample of it on youtube here. “It is Well With My Soul” composed by Philip Bliss and Horatio Spafford was written in 1876. It is one of the most influential hymns throughout the world and is sung by many Christians in their worship services today. Many tragic events in the life of Spafford brought this beautiful hymn to life. A tragic fire lead to financial ruin, death of his young two year old son, and if matters couldn’t get worse, all four of his daughters died in a sinking ship crossing the Atlantic Ocean. All of these events caused deep reflection and as he crossed the ocean to meet his grieving wife, he passed over where his daughters had died, and he was inspired to write the words to this powerful song. It is my hope that singing hymns and creating “Sweet By and By” will help you to feel uplifted and strengthened by the power of heaven. God loves you and it is evident in the lyrics and melodies within the hymns on “Sweet By and By”. The authors of these hymns thoughtfully and humbly expressed their souls in this music. If you have listened or sung hymns in your worship please share with me how it has effected you for good. I’d love to hear about how hymns have helped you overcome tragedy and sorrow. Please share in the comments below.